Free in home consultation for patio doors in Cincinnati, OH. Sliding glass patio doors, lift and slide, sliding french doors, arch top patio doors, and many more style available from Sentry. Find the patio door that's right for you. We provide many options and styles of patio doors to match what you are looking for. We can install sliding glass patio doors, lift and slide, sliding french doors, arch top patio doors and many more styles of patio doors. We work with the leading manufacturers of fiberglass, wood, and steel patio doors and install them in homes around the Cincinnati, OH area. 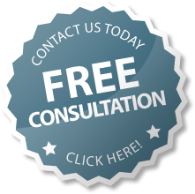 Contact Sentry today for a free in home consultation for your patio door upgrades and needs!